From A-1 Pictures, the studio behind Sword Art Online, comes a slice-of-life comedy that's in a class of its own! Junichiro Kagami is on his sister's last nerve. Despite his genius and scientific accomplishments, he's spent most of his adult life cooped up inside, surrounded by anime and manga, working on trivial things like a blog. But now, it's time for him to get a real job! His reason for being such a bum? He suffers from 'YD': a debilitating illness that means he can only do things he yearns to do. Tired of this lame excuse, his sister gets him a job doing something he'd never expectteaching! Teaching is the last thing Kagami yearns to do, at least until he comes across the various problems his students face outside of the classroom. Between their quirky dreams, serious attitude problems, and surprising secrets, Junichiro is definitely in for some far-out lessons. What he teaches these kids will be beyond the books! 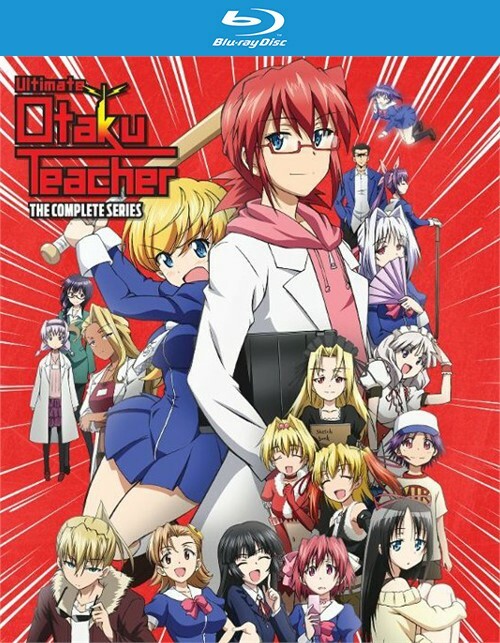 Review "Ultimate Otaku Teacher - Compl"
Reviews for "Ultimate Otaku Teacher - Compl"